What we're not going to do is watch anyone harm a hair on Nadine Memphis' head. Our girl found herself in her most dangerous situation yet on Shooter Season 3 Episode 6, and now the Swagger Squad is going to need to pull off the impossible to Free Nadine, or for that matter, save her. It's safe to say Atlas has their hands on her now, and they'll kill her eventually. Shooter is throwing so many things at us, and sometimes it's a bit overwhelming, but for the most part, it's entertaining as all hell. There was a lot to process on the Earl front, and Bob Lee's time spent with the ever elusive Guiterrez was informative and disheartening all at once. First off, how delightful was it that Tony Plana guest-starred as Guiterrez? He's such a fantastic actor whether he's playing a good guy or a bad one. 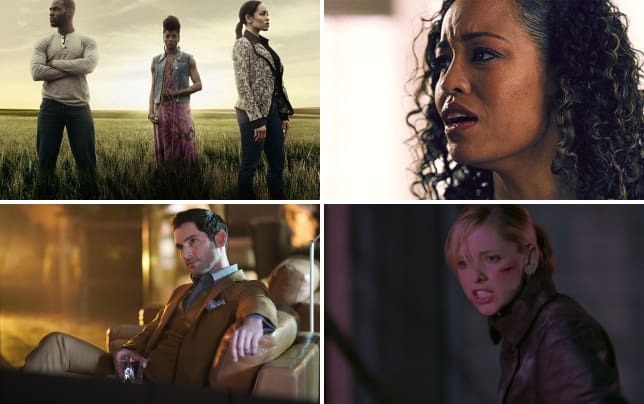 There are a series of impressive guest-stars that have made their way to Shooter this season. Bob Lee barely has the time to process anything before he's forced to accept something else. With every new Earl revelation, Bob Lee's understanding of his father slips away. 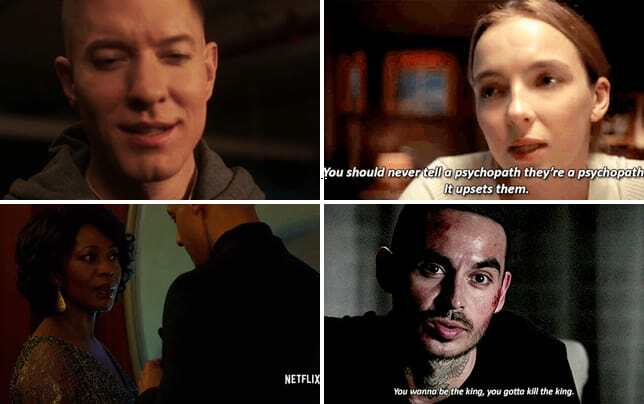 He can no longer reconcile the man who took him out shooting with this stranger who had affairs and was some secret ops, ruthless, heartless killer who lost his way. Guiterrez relaying everything that happened on their missions under Phoenix was jarring. It's difficult to expect a guy to sit through these stories of how his father killed an innocent in cold blood because she was collateral damage. Guiterrez was someone Bob Lee was already wary of, and he had a right to be. Guiterrez's bus ambush and black-bagging was a lot to adjust to and get over. Finding out the man is a drug trafficker didn't help matters either. Still, it never felt like Guiterrez was dishonest while filling Bob Lee in on what happened in Vietnam. Isaac was the perfect person to have by Bob Lee's side while he worked through the cycle of eventually accepting this news because Isaac is familiar with how easy it is to get lost in a mission and lose all sense of yourself, morals, and humanity. If you don't recall, Bob Lee and 8113 were unknowingly roped into doing the CIA's bidding while overseas; it happens. Earl lost himself though, and he didn't think things through. That hit on the general was something he should have questioned just as Guiterrez did. Earl got to the point where he was blindly following orders and assuming it was for the greater good. Guiterrez knew better than that and made a bold move shooting himself in the leg to get sent back home. Now, the next step in this Earl saga is for Bob Lee to track down Catherine Mayfield. It's shocking that Earl is also partly responsible for the attack techniques that Atlas is still using because of the strategic advice he gave Catherine. There is no part of Atlas Earl hasn't contributed to at this rate, but he couldn't have foreseen what it would become. There is some solace in knowing that Earl grew to regret his part in all of this, and he wanted to make things right. It makes it all the more tragic that it led to his death. What role does Red Bama have in Earl's death? It's one of many million dollar questions! Bob Lee is spinning too many plates at once right now, and while he's working an angle in solving his father's death by going after Atlas, he's too busy to tackle things on the homefront right now. That's where Julie comes in. Julie has been taking the reins as far as Red Bama is concerned, and it's refreshing and distressing at the same time. It gives Julie something to do on her own that still proves to be fruitful to Bob Lee and the plot. She desperately needed that. It also puts her in Red Bama's crosshairs. Red Bama is a powerful man, and he didn't hesitate while making that threat. Meanwhile, Junior is an unpredictable, anxious weasel itching to do something to the Swaggers, and he's impulsive and reckless enough to make a move of some sort. Know that if you go forward with this, not only do I intend to win. I intend to make everyone involved very sorry that they bothered. No one wants to see Julie in danger again. Hell, Bob Lee has his hands full right now trying to rescue Nadine. Bob Lee's aggravation upon learning that Nadine went into Titan with no backup was a lovely reminder of how much he cares about her. They have developed quite the friendship over the seasons, and he's protective of her every bit as much as if she were one of his comrades in his unit. They've been through battles together, and they're still going through them. So it wasn't a surprise that he went into Titan after her alone because he's the only one he trusted to get her out safely. Isaac is still a wildcard even though he's on their side right now, and Carlita is all about the mission and the encryption card. If it came down to that card or Nadine, she's going with the card. She made that clear earlier on in the hour when the two women sent Harris to shmooze his former classmate who worked at Titan. Oh, Harris, he has a type, doesn't he? If it were anyone else, it would be annoying that he literally couldn't flirt with Becca to save his own life, but Harris is so damn lovable. Becca and Nadine had a striking similarity but not enough where anyone paying attention couldn't tell them apart. Becca is probably one of a handful of WOC at Titan, so her colleague assuming Nadine was Becca comes with the territory, I'm sure. I guess the "we all look alike" misconception can have it's advantages sometimes! I guess she looks similar enough. Prettier though. Permalink: I guess she looks similar enough. Prettier though. Nadine trapped in the building and dodging Atlas posing as DC Metro was intense. She was rocking that scene and holding her own though. It was reminiscent of something Bob Lee experienced in a previous season. The tension and excitement were palpable, and it almost panned out until Nadine was forced to turn herself over. Carlita isn't gung-ho about rescuing Nadine and is flippant about her possibly being dead already, but the boys, namely Bob Lee and Harris aren't having it. I'm already hype for the rescue mission. Bring it on! Have your feelings about Earl changed after learning more about him? Are you worried about Nadine's well-being now that she's in Atlas' clutches? Is Julie putting herself in danger with the Bamas? Hit the comments below! This season is bringing its A game. 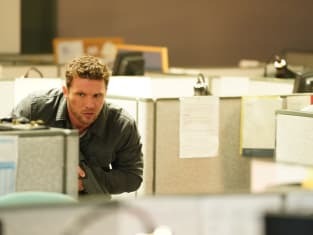 You can watch Shooter online here at TV Fanatic and see for yourself!